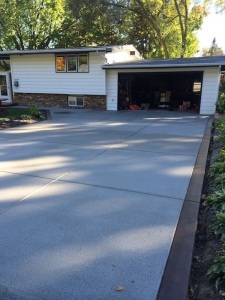 Do you have a professional concrete project in Blaine, MN? Lehmicke Construction has been providing top quality concrete products and installation for over 35 years and can help you acheive the results you desire! Whether it is a residential or commercial concrete project, Lehmicke Construction provides a most personal and distinctive experience for each customer. You can trust Lehmicke Construction for your next home improvement or commercial concrete project in Blaine , MN. Call today for a free estimate!